DataCore software gives IT departments the essential ingredients for digital transformation: dramatic performance improvements, highly available data, and maximum efficiency. Trusted in over 10,000 deployments. Accelerate performance. Reduce cost and risk. Avoid rip-and-replace. With a suite of innovative technologies we pioneered—including parallelization, I/O optimization, and caching—DataCore is able to drive the most I/O performance from storage, proven by industry benchmarks. 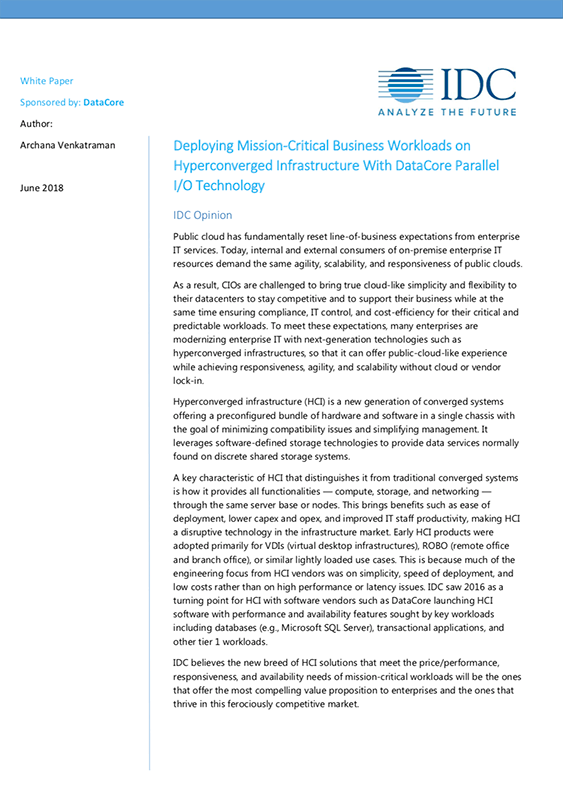 DataCore is definitely one of the main reasons our mission-critical apps run faster; the SANsymphony caching and performance acceleration capabilities play a vital role. DataCore’s Zero Touch, Zero RPO, Zero Downtime synchronous mirroring across heterogeneous storage devices—even across metro clusters—makes data always available, even with storage failures on either side of the mirror. Downtime has been virtually eliminated. Having reliable storage that can be expanded on the fly as needed has allowed us to not have to worry about downtime on many of our servers. With a software-based approach, customers see a better return on their storage investment. DataCore provides improved resource utilization, seamless integration of new technologies, and reduced administrative time—all resulting in lower CAPEX and OPEX. The greatest benefit of using DataCore from my perspective is the freedom from proprietary hardware giving a reduction in the costs of hardware procurement and subsequent maintenance. DataCore Software is the cornerstone of the next-generation, software-defined data center. More than 10,000 customer sites use DataCore to maximize IT infrastructure performance, availability, and utilization. Create a high-performance, highly available, and cost-effective hyper-converged infrastructure with your cluster of virtualized hosts. 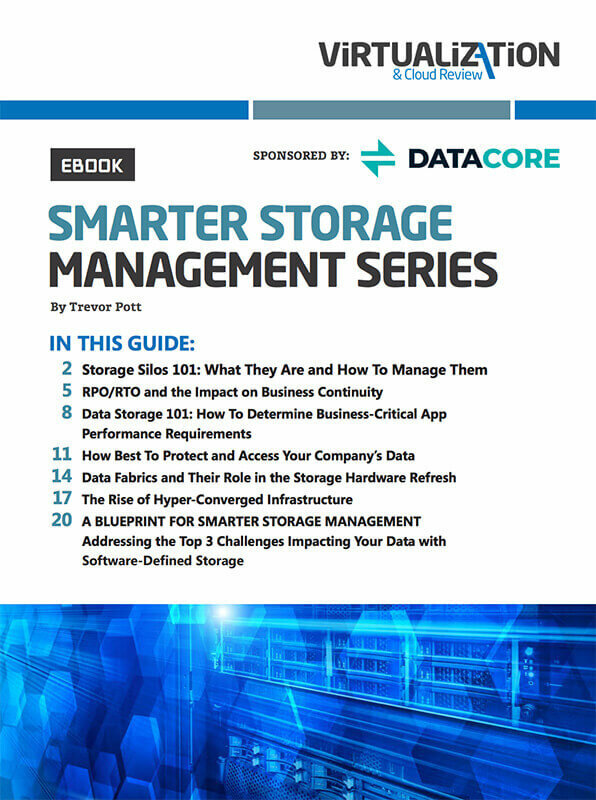 The benefit of DataCore’s seamless, integrated platform is that companies can have just one easy-to-manage storage architecture. DataCore delivers simplicity and reduces operational costs by enabling efficiency, allowing customers to do more with less. Ultimately, without efficiency, simplicity is a myth. DataCore is a popular choice for distributed data centers and SMBs, as it only requires two nodes for a high-availability, single-site or stretched-cluster configuration. DataCore Hyperconverged Virtual SAN gives us the flexibility, reliability, and performance to keep our systems running non-stop. No other products I looked at were even close to accomplishing this. 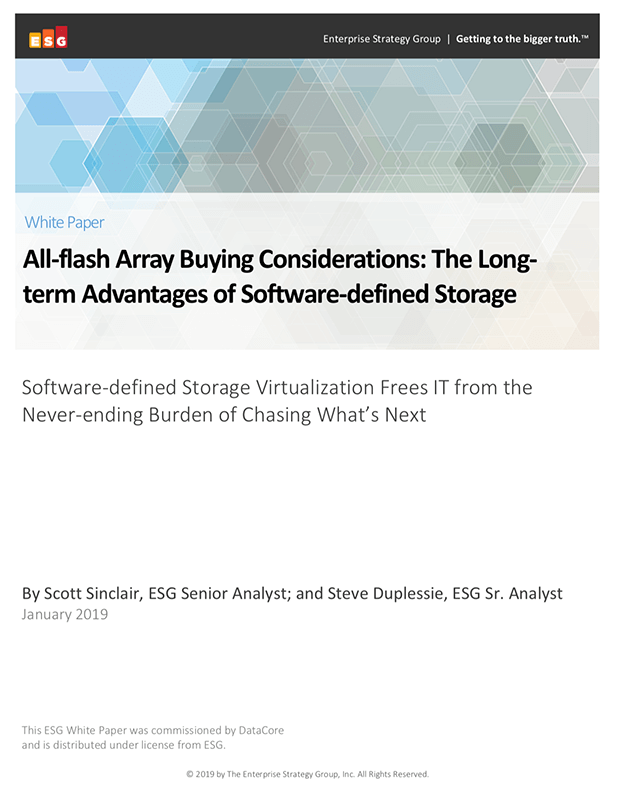 IDC believes that SDS is going to become the preferred architecture for storage environments in the near future, and DataCore is well positioned to help customers make the transition rapidly and smoothly. Everyone else here was a little bit skeptical as to the speeds and other performance metrics we were claiming were possible with software-defined storage. Now, they are all believers. Kevin Schmidt, Senior Network Engineer Thorntons, Inc.
DataCore’s intelligent use of processor and storage capacity puts it ahead of the rest at this time. DataCore has been extremely important in ensuring the Stennis Data Center services are high performing and highly available. Accelerate your journey to better performance, availability, and manageability for your data.